Description: this is Lucifer. 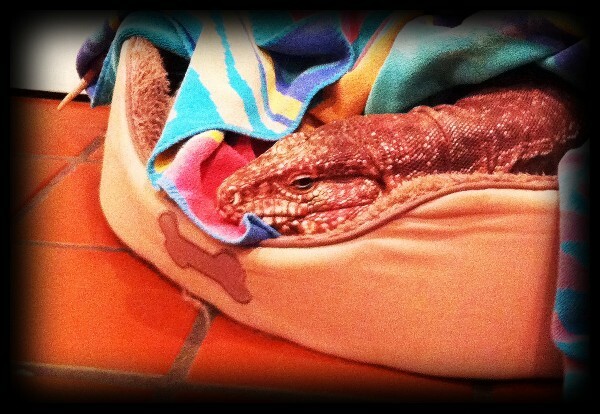 i let him wander around the kitchen and he tucked himself into the dog bed. if only he truly were this adorable... he is very aggressive unfortunately.